Sufferers are more likely to die in childbirth, find learning harder and battle against exhaustion. How do we combat anaemia? s we approach the 2015 deadline for the millennium development goals and pull out all the stops toward their achievement, it is right to note the tremendous progress the world has made in improving nutrition. But we are not doing enough to reach a critical demographic: adolescent girls. The problem is that we don’t have enough data on the damage malnutrition causes in adolescent girls, nor the multifaceted strategies needed for addressing that damage. In the nutrition community, most of our investment is focused on very young children and pregnant women, rightly so as they have significant immediate nutritional needs. We have clear evidence of what their problems are and the knowledge to design strong programmes that have impact. We’ve seen that impact through initiatives like Scaling Up Nutrition, where low-cost, high-impact health interventions like vitamin A, zinc supplementation and others are helping ensure many children live to see their fifth birthday and continue to grow and thrive. But when children become adolescents, there’s a huge blind spot in our knowledge of their nutritional status. For example, we know rates of iron deficiency are high among young children and pregnant women in developing nations. From that, we can extrapolate that many adolescent girls are also iron deficient to the point of being anaemic; more so than adolescent boys, because of monthly blood loss due to menstruation. These anaemic girls face debilitating exhaustion. Their ability to learn is severely compromised. They struggle to get through daily chores, like caring for younger siblings or working on family farms. They may be getting through the day, but they aren’t getting the quality of life they deserve – now or in the future. If they do make the decision to have children when they’re older, anaemia puts these young women at a higher risk of death due to post-partum hemorrhage. But because we don’t collect adequate data on adolescent girls globally, we don’t know how widespread the problem is. Without that knowledge, we can’t ensure we’re delivering the most effective solutions. We’ve seen the value of such data through a project in Chhattisgarh, India, where initial research showed an unacceptably high rate of anaemia among adolescent girls – 85-89%. The project’s goal was to lower that rate by providing regular iron and folic acid supplements. To do that, we engaged multiple government departments and community and school leaders. We educated local teachers and principals about the toll iron deficiency was taking on their students’ ability to learn. We asked teachers and peer guides to be an active part of the solution by distributing the supplements to adolescent girls every week. 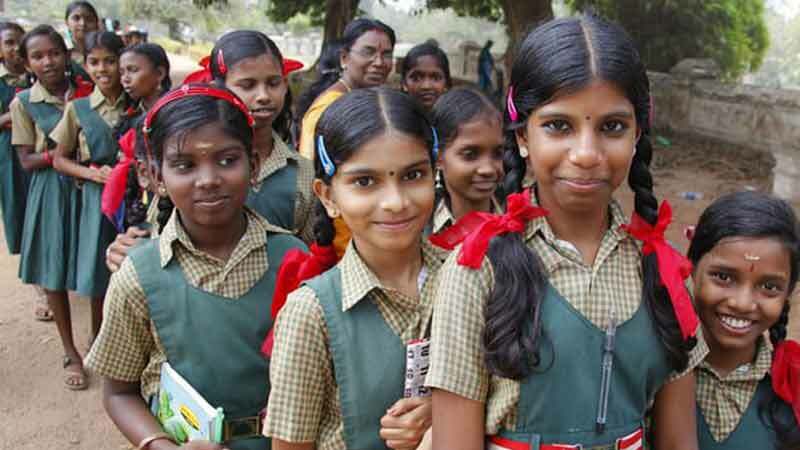 After just 10 months, the anaemia rate had decreased by 14% among the girls in school. The project wasn’t as successful in its efforts to reach adolescent girls who weren’t attending school. We tried to reach them through community centres, but anaemia in that group decreased by only 7%. That highlighted an important fact: no single approach will reach all adolescent girls. We must tailor programmes to meet specific needs; something we can only achieve if we have enough data about the girls’ nutritional status, food consumption patterns and information about their access to community and health services. If the majority of adolescent girls in one district of India are suffering from high rates of anaemia, imagine the enormous scale of the problem worldwide. But imagining – and extrapolating – is really all we can do, because we don’t yet have the data we need for this group in most countries. At best, we can safely say that millions of adolescent girls are affected. Iron deficiency in their adolescent years makes it difficult for girls to reach their full potential as adults, both in their working and personal lives. If they go on to have children, iron deficiency affects not only their health, but also that of their babies. That brings us back to maternal and child health, where governments and development agencies have been focusing efforts and seeing impressive results. If we want to stop the cycle of vertical transmission of malnutrition from mother to child, we must invest in girls during their adolescence as well. In doing so, we enable them to reach their full potential, while ensuring a brighter future for the generations that follow.